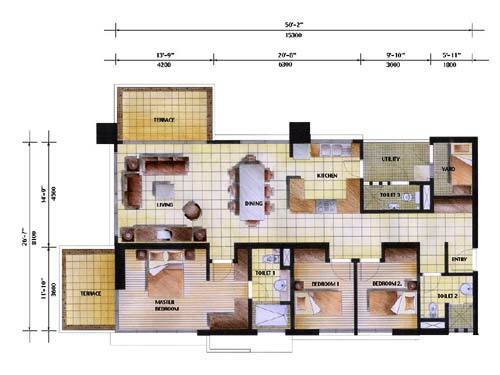 Floor area : 1535 Sq. Ft.
Ceiling Mounted Light Points: 22 nos. 13A Switch Socket Outlets: 20 nos. Telephone Jack Outlet Point: 2 nos.